Is it possible to like a book if you don’t like the main character? Does it really count as dislike if I was intrigued by the story and compelled to know what happened next? 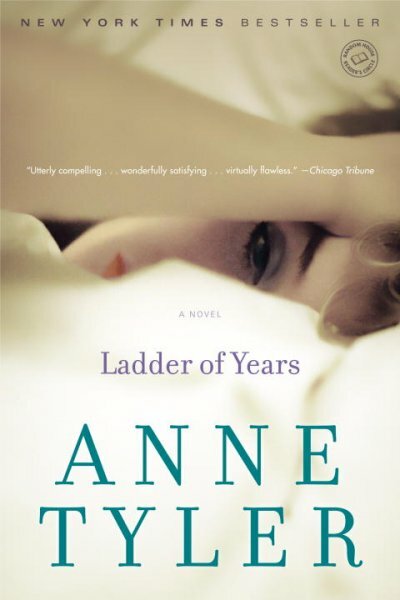 Ladder of Years is a good book to explore these questions because I didn’t warm to the main character, Delia. She is a forty-year-old woman who feels unappreciated by her family and literally walks away from them. She makes a new life for herself in a small town, but ends up also walking away from the entanglements she makes there. The story is told through Delia’s eyes, who acts kindly towards the people she encounters but seems unaware of the effects her large acts may have on other people. She is oblivious to the fact that walking out on her husband and children, especially the son who is still living at home, will break their hearts. Does she lack the imagination or empathy to try to see the world through their eyes? She is otherwise portrayed as intelligent, so it is not clear. Her family are also to blame–it is not as if any of them tell her that their hearts are broken. With an astonishing lack of communication, once they learn she is safe, they just wait for her to come home. These are characters that I wanted to take by the shoulders and shake until their teeth rattled, so they obviously touched me. Ladder of Years has a cast of colorful secondary characters including three wives who leave. The characters are all a bit askew, perhaps because like real people, they are not perfect, and have realistic flaws. They become entangled with each other in various ways they don’t expect, perhaps showing that it’s impossible to go through life without entanglements. Author Anne Tyler is a Pulitzer Prize-winning writer of nineteen novels. In an interview she asked rhetorically, “Aren’t human beings intriguing?” and her fascination shows in her compelling books. Try Ladder of Years if you like intense family stories with flawed, realistic people such as Left Neglected, by Lisa Genova, or Durable Goods, by Elizabeth Berg. Check the WRL catalog for Ladder of Years.